Although they often appear to be permanent, metals are unstable in their service environments and are susceptible to degradation by corrosion. Corrosion occurs when protective mechanisms have been overlooked, break down, or have been exhausted, leaving the metal vulnerable to attack by hostile environments. Control of corrosion is essential in a wide variety of industries. It is of concern to materials scientists and engineers, yet both students and professionals often cannot assimilate the information they need in typical corrosion-related literature because they do not have the specialized background these sources assume. 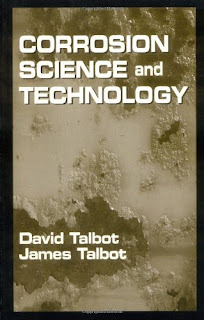 Corrosion Science and Technology clarifies this important background material and guides readers in its practical application. This text integrates the chemical, electrochemical, and metallurgical aspects of corrosion control for application in typical contemporary technologies with economical use of resources. The structures of water, oxides, and metals are examined to identify the interactions by which metals can corrode in natural and relevant artificial environments. The book describes the characteristics of metals and alloys often specified for corrosion-resistant service, and discusses the relative merits of various protective measures and the strategies available to control corrosion. Corrosion Science and Technology profiles aviation, automobile manufacture, food processing, and building construction to show how these sample industries currently address corrosion issues. Written from long experience of both teaching and practice in the field, this book includes explanations of scientific principles and real world applications and case histories. Extensive information on additional corrosion-related literature is provided to guide readers to sources of more specific information. Corrosion Science and Technology gives readers a solid foundation on which to understand and apply corrosion control measures and to comprehend and use information from other sources. Get this Book : Check Availability!